10:15 a.m. – 9:30 p.m.
4:15 p.m. – 9:30 p.m.
We are a branch of dedicated volunteers who work tirelessly to support the Samaritans mission to offer a safe place to talk any time day or night for anyone who is emotionally distressed. .... more. We can offer the opportunity for you talk to one of our volunteers face to face if you might find that easier than talking on the phone. We are usually open during the hours given above. We hold regular information sessions. If you would like to know more, either about becoming a listening volunteer or supporting the branch in a practical way, you would be welcome at one of these sessions. The branch, originally known as the Bracknell, Wokingham, Ascot & Districts branch of The Samaritans, was started in 1972. Bracknell Samaritans Annual Run - Saturday 29th June 2019. Each year we host the very popular Bracknell Samaritans Annual Run, with all proceeds going towards Samaritans of Bracknell, Wokingham, Ascot & Districts. A day for all the family and one not to be missed! Samaritans of Bracknell, Wokingham, Ascot and Districts, a charity registered in England (1170901). 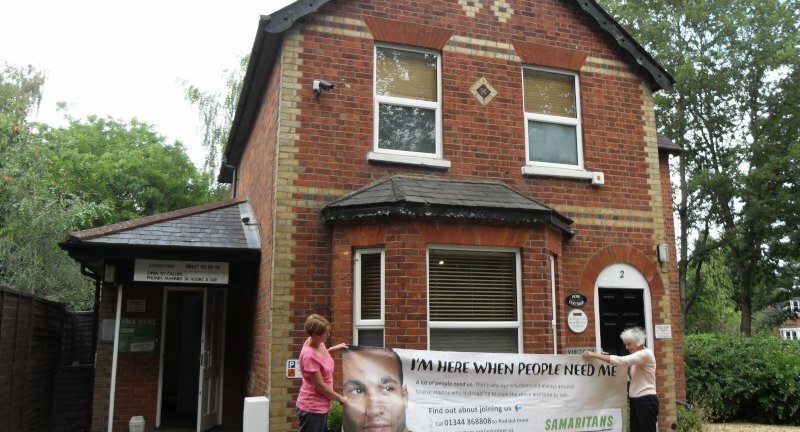 Samaritans of Bracknell, Wokingham, Ascot and Districts is a recognised branch of Samaritans.